It feels like it has been a long summer away – I’m glad to be back! I’ll be sharing stories about my friends, things I’m learning at school and of course, around the world. Since we last talked I learned about a medical condition called asthma and I made two new friends who love sports, just like me. Did you ever start an assignment and then take a break because you’re bored or you remember a funny thing someone shared with you a week ago? You take five minutes and that turns into ten and ten snowballs to fifteen and all of a sudden it’s time for bed and that’s one less day to get the assignment done. I know, it happens to me sometimes! 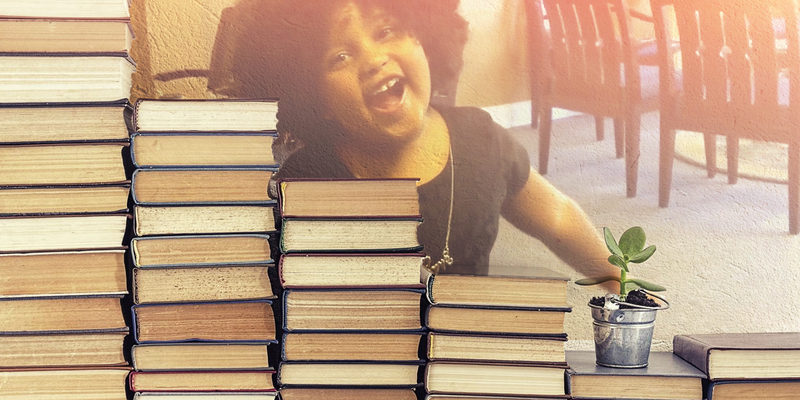 Well, the other day Mrs. Cusamano, my fourth grade teacher, told me and the rest of her class about this four-year-old girl named Daliyah who has read one thousand books. 1,000, wow! Can you believe that? That’s like 100 times more books than I’ve ever read and I’m nine-years-old and she is only 4. I don’t even think Mrs. Cusamano has read that many books and I’m sure she went to college and teaches school now, too. Anyway, Daliyah got to go to the biggest library in America in Washington, D.C. and I think that’s pretty awesome. I imagine she probably got bored or wanted to give up when she tried to read her first book and the words probably looked like a bunch of ants on the page. Maybe she took a few breaks and asked for help but I don’t think she would have read 1,000 books if she ever gave up completely. I want to be like Daliyah when I grow up…even though technically she’s younger than me. She’s already showing she can #dewanything she puts her mind to. Well, that’s all for now. Be sure to check back on the second Friday of every month for an update from me, Dewey Does.